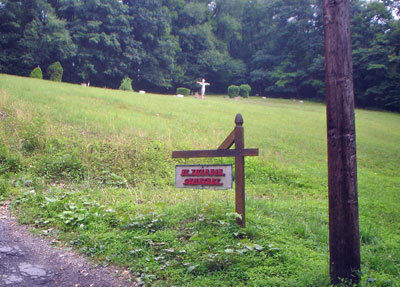 St Therese Cemetery is located in the West End of town. St Clair Road runs into Fairfield Ave from the south of town or off 56 in the north of town. Off of Fairfield Ave turn on Tremont Rd. The cemetery is on a very steep hillside.